FCC provides opportunities for students, faculty and staff to become more globally connected by experiencing diverse cultures while earning college credit. This also helps community members understand each other better and thus strengthen relationships across different backgrounds and cultures. Join us on a 10-day food and culture-themed experience to Italy from the canals of Venice to the masterpieces of Florence, down the ancient streets of Rome to the Vatican’s treasures and exploration of Pompeii. Travel is paired with ACCE 250, a 3-credit hybrid course that builds cultural competency and communication skills. Interested? For more information, start by contacting Assistant Professor Christine Rai at crai@frederick.edu. Then review itinerary and explore payment options at www.explorica.com/Rai-6161 Deadline to sign up is September, best price enrollment deadline is May 23, 2019 (save $150) with discount code FCC150. Starting on March 1 the price will increase. 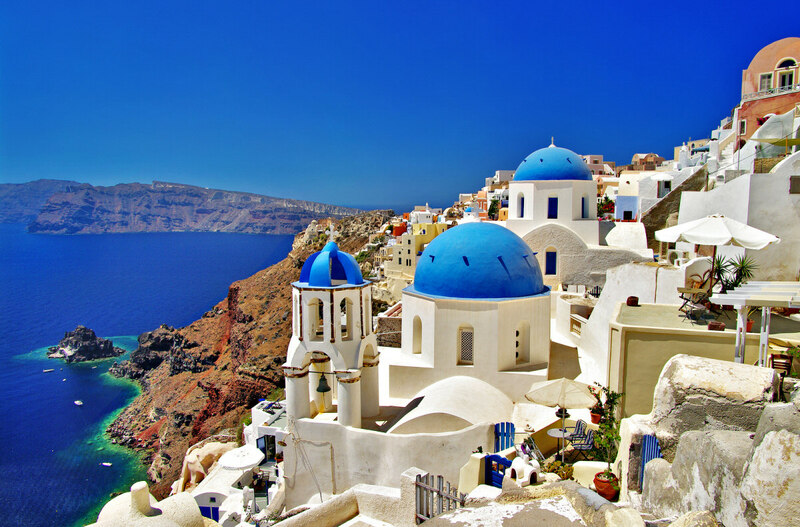 Experience Greece with the Institute for Learning in Retirement (ILR) and let an expert guide take care of all the details. Marvel at must-see sights, sample regional cuisine, stay in centrally located hotels and connect with new and captivating cultures. For more information call Collette, our tour provider, at 1.800.581.8942 (Booking #901354) to learn more and reserve your space. All rates are per person and are subject to change, based on air inclusive package from BWI. Prices listed include a $150 early booking discount for individuals who book before April 11, 2019. MCCIEC, The Maryland Community College International Education Consortium, has travel opportunities through other community colleges in Maryland. Click on the tab titled "Paying for Your Trip" at the top of this page to learn how you may be able to receive assistance. Passport information, from application to fees, learn what you need in order to get yours. Smart Traveler Enrollment Program (STEP). This is a free service that allows US citizens traveling or living abroad to receive the latest security updates from the nearest US embassy or consulate. The Global Learning Committee at Frederick Community College facilitates the development of on- and off-campus global experiences (known as Global Learning Initiatives) that help students, faculty, and staff gain the knowledge and skills necessary to become responsible, successful citizens in a globally-connected world.